You’ve probably heard the term “dementia,” but you may be uncertain about what it means. A fair amount of confusion and misconception surrounds the term. The media, and even some in the medical community, have increasingly begun to use the word “dementia” as a synonym for Alzheimer’s disease. It’s perhaps a less upsetting term than Alzheimer’s precisely because of its vagueness, but that doesn’t mean the two are equivalent. Having Alzheimer’s means having a disease that will cause one kind of dementia, but having dementia doesn’t necessarily mean having Alzheimer’s. There was a time when people used to think that forgetfulness and confusion were a normal part of aging, something as inevitable as menopause or reading glasses. However, now that we know that most adults do not normally develop memory loss and should remain alert and able as they age, some new misconceptions have come to replace the old ones. Perhaps one of the most common of these misconceptions is the notion that having memory lapses automatically foreshadows the onset of Alzheimer’s disease. But this is not the case; people become forgetful for any variety of reason, and most of them don’t have anything to do with Alzheimer’s. Nutritional deficiencies, medications, sleep disorders, depression and other conditions can all cause memory issues. The person with dementia may remember long-ago details like what she wore to her senior prom, but cannot recall what was said to her or what she was doing a few short minutes ago. This is why she might ask you the same question repeatedly-not to be annoying, but because she literally can’t remember asking it or receiving your answer! The person with dementia may begin to lose the ability to communicate normally, substituting words that make no sense in the context of what’s being said. Or, he may just forget a simple everyday word that was once used countless times, like “toothbrush” or “fork.” This may happen even if he clearly understands what the word refers to — he just can’t remember the word itself. Confusion surrounding the current date, in a familiar environment or with regard to one’s own identity can indicate dementia. This symptom becomes increasingly common as the dementia progresses, although it may not appear at all in the early stages. The hallmark of delusions is that the person suffering from it believes the delusion with absolute conviction and cannot be argued out of it or convinced that it is untrue. Delusions are often difficult to assess because each person’s reality is by nature subjective. Executive function involves the ability to effectively plan and execute tasks, especially those that employ several, more basic cognitive functions like memory, language and reasoning. Cooking a meal, doing mental arithmetic, and driving a car are all examples of things that require a complex coordination of basic functions. It is unclear whether dementia actually causes elderly depression, but a significant number of people with dementia do have it. Moodiness and apathy are some typical expressions of depression, but other signs are potentially much more serious, such as emotional and physical withdrawal, insomnia, weight loss, or suicidal thoughts. Clinical depression is very different from the normal “having the blues” or “feeling down” experiences that everyone occasionally goes through in life, so the diagnosis must be made by an appropriate health professional. Weight Loss. Weight loss often occurs before the development of any other dementia symptoms, and scientists have theorized that damage to parts of the brain that control metabolism and appetite may be the cause. To further complicate the issue, people with depression also can lose substantial amounts of weight, so the exact cause may not be clear. Although this usually develops after the onset of other symptoms, behavioral changes can occur anytime. A person with dementia may begin to act in sexually inappropriate ways, or become unusually aggressive. (It is important to realize that unusual behavior is different for each individual, since one person’s eccentricities may be another’s “normal” way of doing things.) He may also begin to wander, a behavior linked to disorientation and a real safety concern for caregivers and family. 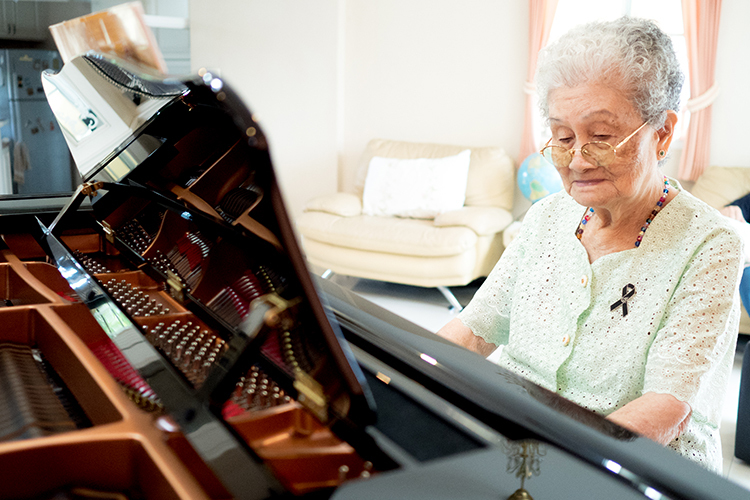 As dementia progresses in an individual, she may begin having difficulty performing simple tasks such as bathing, dressing or using the toilet. Personal hygiene will usually suffer as a result. She may demonstrate poor judgment as things become more confusing and disorienting. This may be as harmless as wearing inappropriate clothing for the current weather, but it could become much more serious. The elderly in general, but especially people with dementia, are extremely vulnerable to becoming financially defrauded by unscrupulous individuals looking to take advantage of them. And even without solicitation she may give away or spend large amounts of money without truly understanding what she is doing. In the advanced stages of dementia, a person will become unable to do even the most basic functions like eating or walking, and may become incontinent. He will become totally dependent on the care of others, and may cease to recognize even close family members. Basic motor functions become severely impaired, and the person becomes completely bedridden. 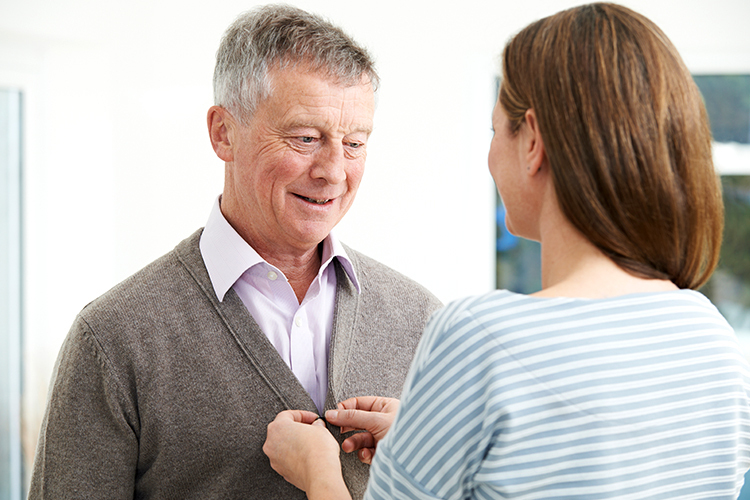 In order to properly diagnose and treat dementia, you must consult an appropriate medical professional, who will perform numerous clinical tests to try and assess the kind of dementia that you or your loved one may have. It’s not an easy thing to do even for doctors, so worrying about it on your own and relying on your own observations, opinions, and dementia information will only delay treatment. In some cases this delay could become critical to the eventual severity and timeframe that the underlying disease could take. Even in irreversible cases of dementia, there are now several medications and strategies that can help ease and even delay symptoms, greatly improving the patient’s quality of life. 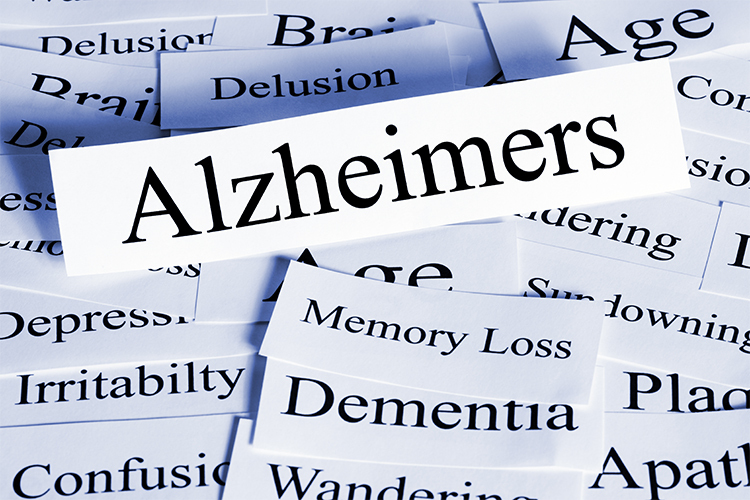 Learn what causes dementia, from genetics to head trauma to disease. The important thing to remember about diagnosing dementia is that no one single test can solely and conclusively establish whether a person has it or not. Rather, doctors rely on numerous tests, surveys and interviews to try and eliminate other possible contributing factors and find out what’s really wrong. This is why it’s so important to see a specialist who is trained in identifying the symptoms, such as a geriatric care internist, a geriatric psychiatrist or a neurologist. However, even your family doctor should know of some brief evaluations that can help determine whether you or your loved one needs more extensive examination. Depending on which kind of specialist you go to, the number and type of tests can vary quite a bit. Currently, there is no set standard of assessment for dementia among all medical professionals. You will find, for example, that neurologists may recommend one set of procedures, while psychiatrists follow their own diagnostic protocols. And certain research and health organizations such as the Alzheimer’s Association advocate yet another standard. 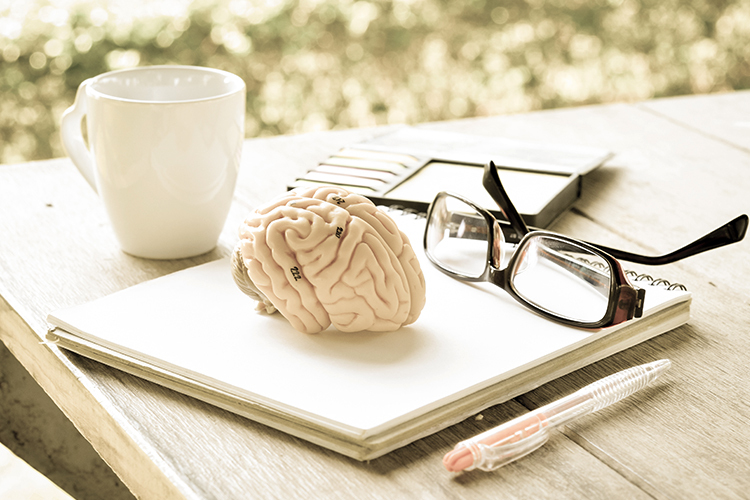 They all have certain tests in common, such as the Mini-Mental State Examination (MMSE), but they differ substantially on recommending other methods, such as extensive neuropsychological testing6 and certain types of brain imaging. The whole process of undergoing all these tests and interviews can provoke a lot of anxiety among patients and their families, and it’s perfectly understandable. For families, the initial testing phase makes for one of the most emotionally vulnerable periods during an illness, as they wait to find out what’s wrong with their loved one. In the case of dementia, the anxiety can be especially heightened because the examining doctor must actively involve the family in order to arrive at a proper diagnosis. The patient is not always fully aware of the potential cognitive problems she is experiencing, so doctors must rely at least in part on her family’s observations to complete the clinical picture. The doctors will need to ask probing questions about virtually every aspect of the patient’s health, behavior, and life circumstances. They will take several assessments of mental acuity, memory, and alertness, and will conduct a physical and neurological exam. Because medications are a very common cause of cognitive impairment, the patient will need to stop taking any drugs that may be contributing to the suspected dementia for a period of several weeks, after which the mental status examinations are repeated. And depending on the type of specialist being consulted (as mentioned above), neuropsychological tests may be run, certain brain scans may be used, and certain lab tests may be ordered. Finally, one of the key complications in the diagnosis and treatment of dementia is the presence of depression. In many cases, what appear to be signs of dementia to the family are actually the effects of depression. Doctors call this the “dementia of depression,” or sometimes pseudodementia, and treating the depression will usually greatly improve or reverse the dementia-like symptoms. But it’s not always so straightforward, because depression can also be asymptomof true dementia. Trying to determine what causes what can be extremely difficult, but remains crucial to the eventual diagnosis and treatment. And so doctors will attempt to assess mood and emotional state with some tests and observations, as well as interviews with family members. 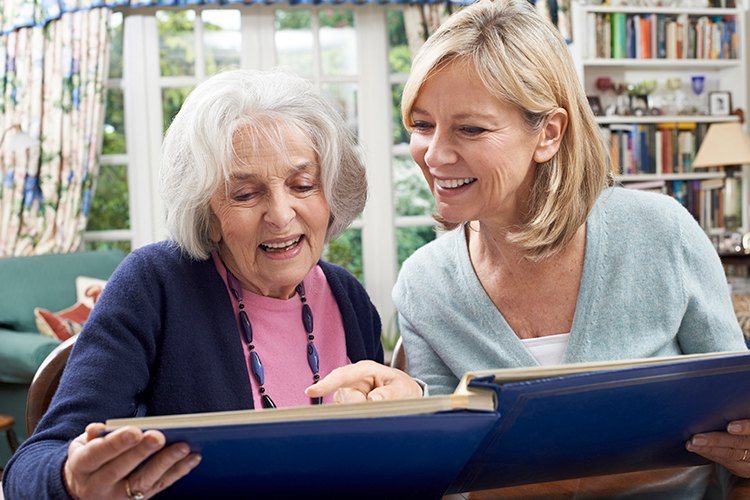 Learn about dementia treatment, such as medication and dementia care. 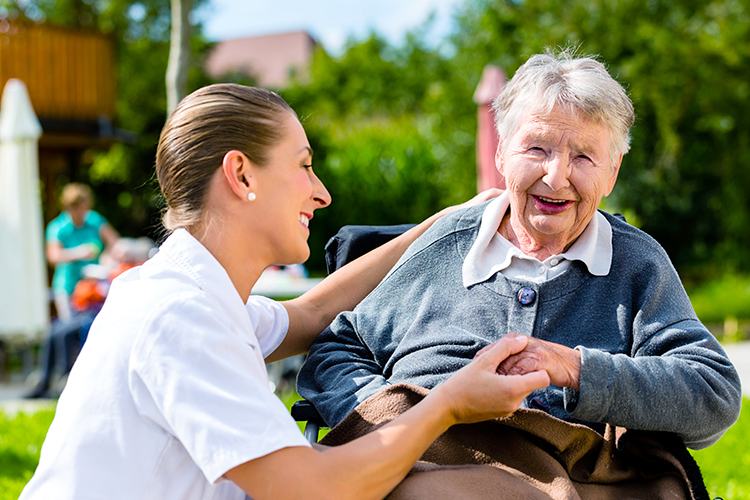 Complete list of questions to ask memory care facilities.